Let's Stamp! : Wedding Invites with SU! A little while ago I took part in a wedding invite swap over on ILWS. The wedding season is fast approaching, so I thought I'd show you my card for the swap. There are so many stamp sets that you could use for a wedding card. There is the lovely Mr & Mrs and Special Blessings, but I choose to use one of my favourite sets: Baroque Motifs. I've paired it with Choc Chop ribbon, ink and cardstock (don't you just love how easy Stampin' Up! makes it to co-ordinate your cards!) and the lovely very vanilla. You could also add an extra bling to the card with a spray of one of the glimmer shimmers. 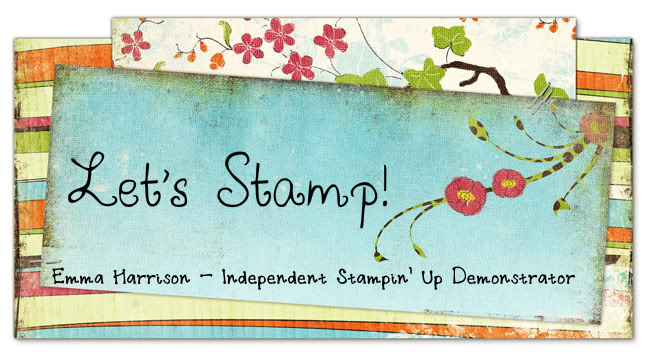 I need to update the photos with a watermark, but just whilst I'm trying to figure out how to do it, I should point out that all stamped images are (c) Stampin' Up!. This invite is beautiful.. so classy!